Why you should never post anything into Public Space. A lot of people seem to think that you can get away with loading files into public space and that no one will see them until I send someone a link. Last week, I blogged about how to start a wiki on your blog. One of the great things about wiki was to run a entire project using a wiki, however a wiki is limited in functionality and a lack of any concrete structure makes wiki unacceptable for certain projects. If you’re looking to run a full project management suite that lets you look at task, tasklist and milestones. Manage time and resources, provide 1-page updates for stakeholders. You’re in luck because that’s what I’m doing here today. However, before we proceed to the how-to-install, I thought it’s best if we revisit why you’d need a web-based tool for project management and how it can help overcome the 4 major pitfalls of the traditional method of managing project plans via MS Project and emails. You’re probably wondering, what Anne Hathaway(pic) has to do with applying for the same job twice. Well more than you might think. Read on for more. Should you apply for the same job….twice!! 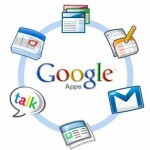 Previously, I posted about using Google apps to take care of your websites email needs. However, there was one nagging issue which always bugged me. My personal account was a gmail account, and if my website email address was hosted on google apps, that meant I could only login to one email at a time. This was troublesome especially if I was expecting an email on both accounts at once. The workaround that solves this is simple, consolidate your email accounts into one login. This makes things a easier, and allowed me to check my websites emails ([email protected]) while still using my personal email ([email protected]). 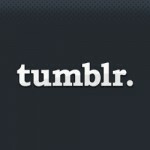 I’m a bit slow to new platforms, (I’ve just discovered wordpress early last month), but in the battle supremo of the 3 most popular blogging platforms out there, Tumblr does have it’s advantages, and they’re quite many. Now wasn’t that a mouthful. 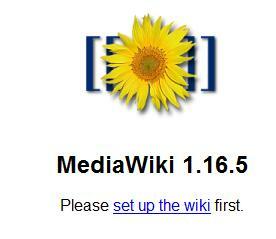 To put it simply, a wiki is a website that contains many articles, and ANYONE can update those articles. Why do you need a site wiki, well the website gigaom has 15 different uses for a wiki. You can use it for anything from project management to knowledge retention. So having one certainly does score you points with the ladies,…well not really but you get the picture. A lot of people think you’re either an entrepreneur or an employee, but whether you own your own company or work for one, you’re both. However, with the recent economy both state-side and in europe (greece,portugal,spain,iceland), some employee-minded people are finding it tough to get jobs. Over here in Malaysia the job market seems to be picking up, but even then you never know what might happen. Starting up side projects that have little to do with your career path could be an answer to these problems, my wife use to run an online makeup retailer called simply-naturale.com. I’m starting up a new project called jomlunch, over at jomlunch.com. While these are all still new, I believe starting up projects is one of the best learning opportunities you’ll get. 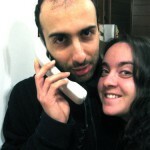 Previously I bloged about adding a contact form to your wordpress powered site. The recommended approach was contact form 7, a clean and simple plugin to implement contact forms on your site. However, there are some limitations, what contact form 7 makes up in simplicity it loses in added functionality. For instance there were no captchas on contact form 7 so you can’t prevent a bot from simply continuously spamming you with messages from a nigerian prince wishing to share his vast wealths with you just because you’re a ‘trust-worthy’ person. Digging into WordPress is a fantastic blog (and book) written by absolute masters of the wordpress realm. Recently they put up a poll on the best caching plugin for wordpress and the results clearly show that my favorite caching plugin, Hypercache is NOT the de facto standard. In fact it comes in a distant 3rd to w3 total cache and wp super cache. Oh well, I guess it pays to be different. However if you’re a wordpress newbie and looking for some new insights into wordpress, I absolutely recommend subscribing to their blog here. Some companies re ceive so many resumes for each job application, they filter out applications based on your resume photo. Imagine, your resume was probably not read simply because your photo wasn’t eye-catching (imagine resumes like mine that have no photo!). It’s nobody’s fault, if you receive thousands upon thousands of resumes you need to have some filtering ability that doesn’t require time. Obviously you shouldn’t be putting your photo on the resume, but the questions remains on how to get people looking at your resumes? The idea is to break away from the standard thinking that Resumes need to be linear. Microsoft word has far more capability now then when you wrote your first resume, and even then it’s better to use Adobe InDesign, Photoshop or even Scribus to create your resume. Resumes don’t need to be linear, but they need to be standard, it needs to have the standard information people are looking for and it needs to be presented clearly. A hiring manager isn’t bothered to look and search for your experience, it needs to be ‘presented’.